Cruelty-Cutter is cruelty-free shopping made simple! Cast-away any doubts when purchasing items by using this app to scan an item and have an immediate response about it’s animal-testing status. Cruelty-Cutter has every company in the "Leaping Bunny" and PETA lists and thousands more. It is the most up-to-date and vigilant cruelty-free list on the market. Cruelty-Cutter is your activist app! Share your results with friends on social media and also share your concern or praise with the company itself. Companies that still choose to test on animals will get the message that Cruelty-Cutter users are against what they are doing! 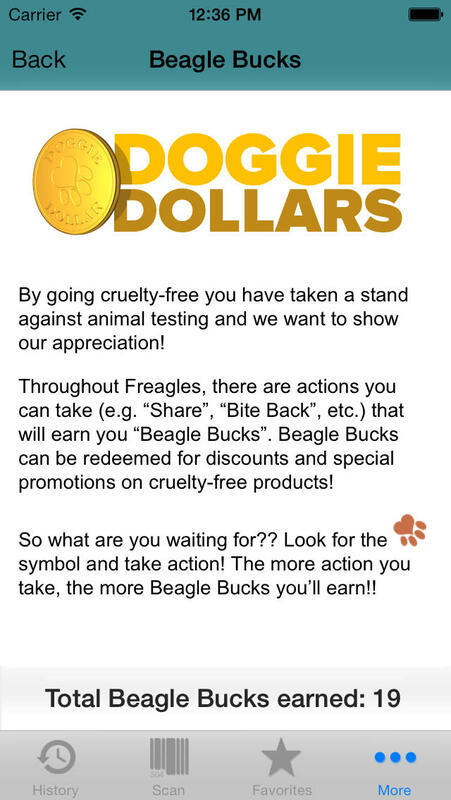 The more shares, the more “Doggie Dollars” you earn towards coupons for cruelty-free items! Cruelty-Cutter lets you register your concern and help collect data to bring to companies that test on animals to show them that the public is not interested in supporting companies that continue to use animals when it is not needed. Use Cruelty-Cutter to help ‘free beagles’ (and other animals) from testing labs! -- Scan product barcodes and instantly learn if the product is cruelty-free!! -- “Bite Back” by posting to social media sites of #CruelCompanies. 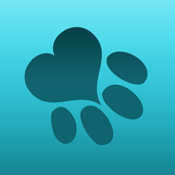 -- Earn “Doggie Dollars” by taking action! -- Redeem Doggie Dollars for deals on cruelty-free products. -- Connect with friends and help build a cruelty-free community! -- Stay up-to-date with animal welfare issues, including ways you can help. Download to donate! Your app purchase helps raise funds for Beagle Freedom Project, a not-for-profit organization dedicated to freeing beagles from testing labs. Beagle Freedom Project rescues beagles (and other animals) from labs across the globe, giving them a second chance at life!